We write on behalf of the Middle East Studies Association (MESA) of North America and its Committee on Academic Freedom to express our alarm at the recent developments in the prosecution of scholars who signed the declaration “We will not be a party to this crime”—commonly referred to as the “Academics for Peace Petition.” We also wish to express our deep disappointment regarding the ongoing targeting of scholars whose research exposes negative effects of your government’s policies in areas such as public health and environmental regulation. In numerous previous letters, we have criticized the broad pattern of persecution of petition signatories and other academics under your government particularly over the course of the last three years. 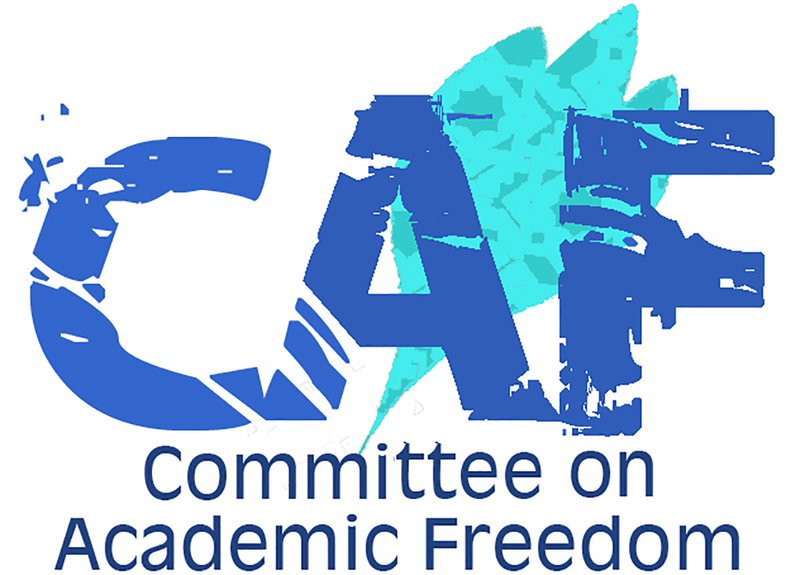 We write now again to respectfully urge your government to desist from repressing academic freedom and freedom of expression for scholars, researchers and both undergraduate and graduate students in Turkey. In particular, we call on your government to abandon the expansive interpretation of anti-terrorism provisions—one that extends to many forms of peaceful advocacy—that stifles critical inquiry, scholarly research and political dissent in your country. Among the broad range of academics who have been targeted for disciplinary action, suspension, dismissal and prosecution by your government are numerous scholars whose expertise has informed academic articles and policy reports critical of official policies and actions. Their domains of expertise span fields such as public health, medicine, urban planning, environmental science, political science, law, anthropology, sociology, social psychology, and many others. That many who have been targeted appear to have been singled out as a result of their political views or critical scholarship speaks volumes about your government’s deliberate repression of freedom of opinion, academic freedom and the right to dissent. Moreover, the deterioration in the Turkish justice system has also had an adverse impact on academics facing repression. This is true in several respects: lawyers who have represented academics facing prosecution have found themselves targeted with retaliatory prosecution and detention. The quality of legal proceedings has also declined dramatically in Turkey, as not only lawyers representing dissidents but also a wide array of judges and lawyers have been purged across the country. Recent allegations that unqualified AKP bureaucrats are being appointed as judges and prosecutors suggest further compromises to the integrity of legal institutions in the country. The failure to afford targeted academics the fundamental procedural protections that are basic to any system governed by the rule of law is as much a symptom of the broader decline in the Turkish justice symptom as it is another facet of the repression to which these academics have been subjected. The disconcerting arbitrariness of verdicts and charges pressed against petition signatories over the course of the last year also raises concerns that your government is not adhering to core rule of law principles in violation of the international agreements to which it is a signatory. To date, more than 450 signatories have been prosecuted on allegations of material support for terrorism, the basis of which consists entirely of their having signed the Peace Petition. Although all of these academics are similarly situated in that the basis for their prosecution consists of the same act, they have been subject to disparate treatment. The circumstances of their trials and sentencing have shown significant differences that appear to depend on considerations such as their relative visibility and political disposition, which the court seems to interpret as necessitating aggravated charges. The variation in the outcomes for petition signatories ranges from suspended sentences of 15 months’ detention for some to a disturbing range of years of imprisonment for others. Suspended sentences come with a requirement that for a period of five years the defendant refrain from committing any additional “crimes.” In light of the over-broad definition of anti-terror laws, this requirement amounts to a gag order prohibiting academics from saying anything critical of the government or supportive of Kurdish and other minority rights, drastically curtailing their academic freedom, choice of research topic and right to express their opinions. Academics unwilling to submit to such state supervision face immediate detention. A court verdict on 24 January 2019 highlighted the arbitrariness with which broad interpretations of anti-terror laws have been employed to persecute and silence dissent. In announcing his verdict against a petition signatory, the presiding judge in an Istanbul penal court explained that while the defendant had been sentenced to two years, the court reviewing that verdict would extend the sentence to three years, invoking the defendant’s attitude during the proceedings as the sole basis for the harsher sentence. The inconsistency in the treatment of defendants facing identical charges underscores the individualized targeting for aggravated treatment of vocal critics of your government (see our letters dated 22 February 2016 and 17 March 2016). More recently, another signatory of the petition, political scientist Füsun Üstel, was sentenced to fifteen months of imprisonment and elected not to accept the suspension of her sentence preferring, instead to lodge an appeal. The Court of Appeals denied her appeal. As a result, Professor Üstel has become the first scholar to be incarcerated since the trials of petition signatories began in 2017. Nine other scholars are also currently appealing their suspended sentences, putting them at risk of the same fate at the hands of the Court of Appeals. The impact of the persecution of petition signatories and the broader repression of academics in Turkey has been devastating for the Turkish higher education sector. Widely reported cases targeting academics whose expertise in critical subjects -- like forensic medicine, public health and law -- have exposed them to even greater repression, have undermined international confidence in Turkish academia. We draw your attention to the widely reported cases of Şebnem Korur Fincancı and Bülent Şık as examples of the level of individualized targeting that has tarnished the reputation of Turkey, supporting the conclusion that academic freedom is denied to scholars in your country. Professor Şebnem Korur Fincancı is a leading forensic medicine specialist and a human rights advocate. A former professor of forensics at the School of Medicine, Istanbul University, she was a key figure in documenting torture in Turkey, and serves as Chair of the Foundation of Human Rights of Turkey (Türkiye Insan Hakları Vakfı, TIHV). Concerned about the impact of the Turkish government’s counterinsurgency tactics on the lives of civilians (in predominantly Kurdish areas), Professor Şebnem Korur Fincancı visited Cizre and prepared a preliminary report documenting her observations on the status of human rights and public health in the area. In her prosecution as a petition signatory, that report and two interviews she gave in prominent left-leaning newspapers Özgür Gündem and Evrensel (both of which have also been targeted by your government), were treated as aggravating factors justifying the imposition of a harsher prison sentence of thirty months on Professor Fincancı. Her case illustrates the degree to which academics whose work exposes and criticizes state-sponsored violence are subjected to more punitive treatment as a consequence of their research and writing. Another widely reported case that exemplifies the judicial harassment of academics is that of Bülent Şık. Professor Şık is also a petition signatory and was purged from his position as Assistant Professor at Akdeniz University under Emergency Decree (KHK) 677 in November 2016. Şık’s research focuses on public health, food safety and the right to a healthy environment and he is widely known for having published his findings on the contamination of soil, food, air and water by carcinogenic industrial chemicals in Antalya, Ergene, and Dilovası. He conducted research between 2011 and 2016 in a study launched by the Ministry of Health, but the disturbing findings were hidden from the public by the Ministry. After several years of waiting for the Ministry to take action on the findings, Professor Şık determined that he would have to act unilaterally to protect public health. On 15-18 April 2018, he made public the findings of the study and published a map of the carcinogenic contamination of areas in which he had conducted research. The Ministry of Health filed a lawsuit against Şık alleging that the disclosure was unauthorized, in violation of his duties of confidentiality and resulted in the dissemination of “prohibited information.” He is currently facing charges that carry a risk of 5 to 12 years of imprisonment in addition to his prosecution as a petition signatory. While obligations to maintain confidentiality may pertain to some forms of government-funded research, where findings indicate an urgent risk to public health and non-disclosure would result in avoidable exposure to carcinogenic contaminants, it is the actions of the Ministry of Health rather than those of Professor Şık that should be subject to criminal liability. The dramatic increase in cancer diagnoses in the affected regions attest to the importance of Professor Şık’s findings. The prosecution of Professor Şık under these circumstances indicates a willful indifference to public health while confirming the broader pattern of persecuting academics perceived as critics of your government’s policies. Unfortunately, the case of Bülent Şık is far too typical of the tactics we have documented in your government’s targeting of academics whose research findings threaten to undermine your government’s industrial policies and the corporate sectors they support (See for example, our letters dated 12 December 2012 and 30 October 2015). Former Chair of the Department of Public Health at Kocaeli University, Professor Onur Hamzaoğlu was similarly targeted by your party’s officials for revealing his research findings, which, consistent with Bülent Şık’s own findings, also documented carcinogenic industrial pollution in the same region, Dilovası. At the time, the AKP mayors of Kocaeli and Dilovası filed a lawsuit against Professor Hamzaoğlu, on grounds of alleged “academic misconduct” for publishing his research findings and thereby purportedly inciting public panic. Also a signatory of the Peace Petition, Professor Hamzaoğlu was similarly purged from his position with Emergency Decree (KHK) 672 on 1 September 2016 (See our letter dated 6 September 2016). Our earlier letters also documented the case of Professor Beyza Üstün, targeted for disciplinary investigation because she published her research on the public health impact of hydroelectric power plants (see our letter dated 30 October 2015), while academics supportive of your government’s environmental and industrial policies, like Erkan İbiş, were celebrated for promoting dubious research on the safety of nuclear energy (see our letters dated 12 December 2012, 12 January 2017 and 16 February 2017). Our letters over the last three years have clearly documented your government’s strategy of using emergency decrees and prosecutions to silence academics whose research or views have been deemed adverse to your government’s policies, and manipulating anti-terror laws as a means to repress critical scholarship and stifle dissent. As we explained in our 17 October 2017 letter, the indictments issued against Peace Petition signatories contain serious errors including the outlandish claim that the petition constitutes evidence of coordination with the PKK. We consider that treating this petition, which simply calls on the government to desist from military action in the Kurdish provinces and resume a peace process, as supportive of terrorism represents a staggering threat to freedom of expression and academic freedom in Turkey. By the government’s logic, any speech, research, writing, opinion, organizing or demonstration supportive of Kurdish rights may be conflated with support for terrorism. The risks attendant to this approach are amply demonstrated by the numerous reporters who have been convicted on “terrorist propaganda” charges, some now serving long sentences, others convicted in absentia, for reporting objectively on the activities of Turkish security forces in southeastern Turkey. Pro-government lawyers today seek to further expand the already overly broad interpretation of anti-terror provisions, now arguing that petition signatories may be convicted not only of material support or propaganda for a terrorist organization but should even be treated as members of a terrorist organization. Such an over-reaching definition of membership in a terrorist organization as the one recently advocated by law professor Izzet Özgenç effectively erases the distinction between terrorism and peaceful dissent. More recently, reflecting yet another problematic interpretation of the anti-terror law, a prosecutor has advocated an additional count against petition signatories, calling on the court to charge them with providing willful assistance to a terrorist organization. This new count goes well beyond the now familiar allegation of “terrorism propaganda” on which petition signatories have heretofore been indicted. We urge your government to repudiate the over-broad approaches advocated by Özgenç and others, and revert to the internationally recognized standards by which anti-terrorism provisions must be interpreted narrowly and in a manner consistent with human rights, including the rights to freedom of opinion, expression and association as well as academic freedom. As a member state of the Council of Europe and a signatory of the European Convention for the Protection of Human Rights and Fundamental Freedoms, Turkey is required to protect freedom of thought, expression and assembly. Turkey is also a signatory to the Universal Declaration of Human Rights, the International Covenant on Civil and Political Rights, and the Final Act of the Conference on Security and Cooperation in Europe (OSCE), all of which protect the rights to freedom of expression and association, which are at the heart of academic freedom. These rights are enshrined in articles 25-27 of the Turkish Constitution. We urge your government to take all necessary steps to abandon the course currently being pursued and return to earlier practices in line with ensuring that these rights are protected. We respectfully repeat our numerous requests that your government take immediate steps to drop all criminal charges against signatories of the peace petition. We also ask that your government desist from broadening the use of antiterrorism laws in ways that criminalize the legitimate and protected activities of academics. In light of mounting international condemnation of the erosion of democratic rights and freedoms under your administration, taking steps to protect academic freedom, freedom of expression and freedom of association would be an important step to address growing concerns about human rights in Turkey.